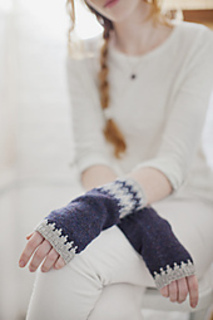 These pretty armwarmers are a great wardrobe item for layer-lovers! 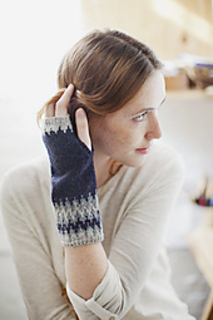 They’re a great way to keep your wrists warm when knitting (or typing) in chillier conditions, too. 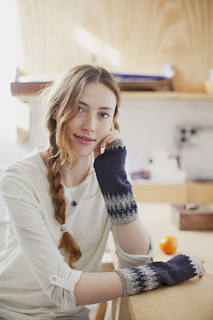 We think they’re the perfect antidote for when the colorwork bug comes a’biting, and a great project for new knitters to try their hand at stranded knitting.